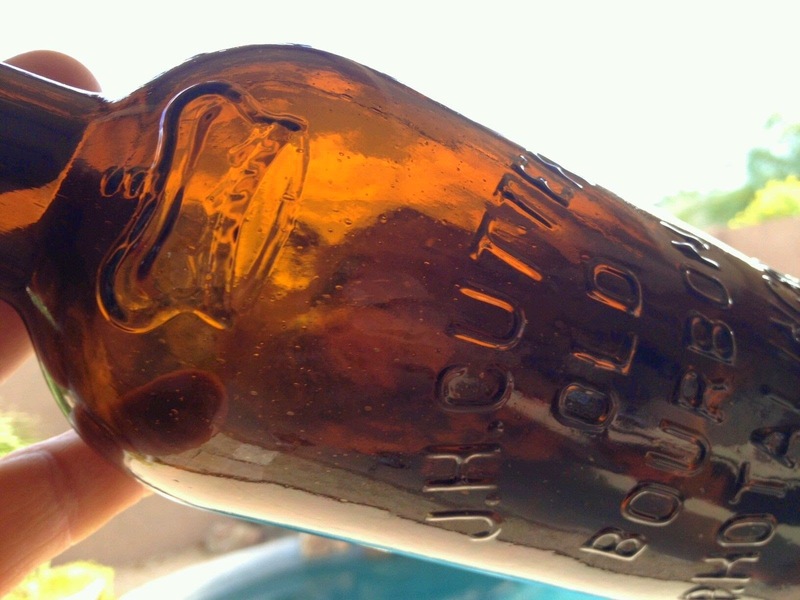 The date of the bottle, number known, rarity, western blown - Got anything? John Joseph Spieker or J. J. Spieker in most historical documents, was born on 26 February 1855 in Cincinnati, Hamilton County, Ohio. His parents were John G. Spieker and Marie Theresa Niehoff. Both were from Germany though some records say the father was born in Ohio and his mother in New York. John Joseph moved to Sacramento, California in 1875 and was married in San Francisco in 1879 to Cornelia Ackley, who was also from Sacramento. She would later run the business after his death. 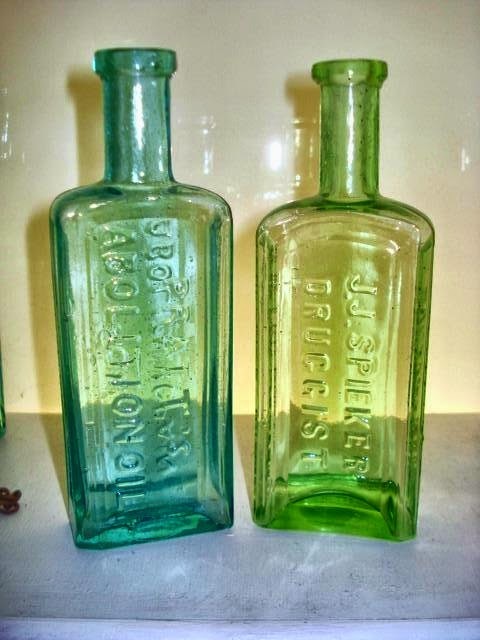 In 1876, at the early age of 20 or so, J. J. Spieker became a druggist in Sacramento and by 1878 he was a partner in Tufts & Spieker (A. C. Tufts and J. J. Spieker) who were druggists and apothecaries. They produced a medicine called Yerba Santa Cough Balsam. In February 1884, John Spieker formed a new partnership with Tito M. Lash, and named the company T. M. Lash & Co. The 1880 United States Federal Census also lists Spieker as a druggist in Sacramento while a city directory at that time notes a J. J. Spieker, druggist and apothecary, on the northwest corner of 6th and K. He is living above the shop. In 1881, he moves to a house in Sacramento keeping the shop address. 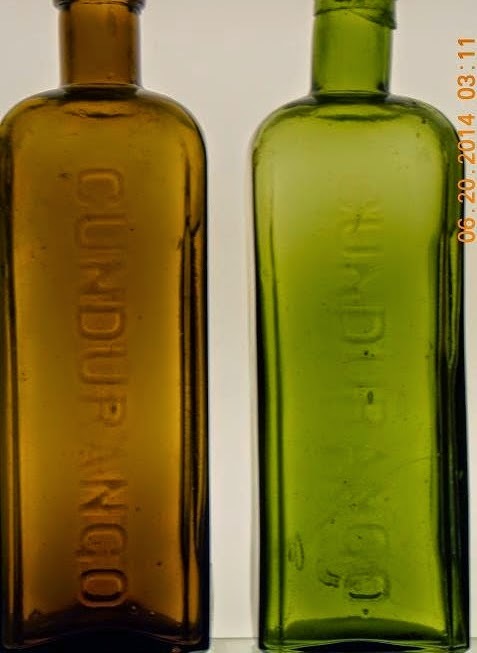 As late as 1900, the United States Federal Census lists him as a druggist in San Francisco. Later, John Joseph Spieker would be regarded as a pioneer in the Bay Area and was identified with the high social, philanthropic and culture of San Francisco. In the 1900s, at some point, he would become the president of the Eureka Land and Lumber Company in Ross Valley near San Francisco. To support this, the 1910 Federal Census, lists Spieker as a manufacturer of lumber products in San Francisco. John Joseph Spieker died in 1912 in San Francisco. 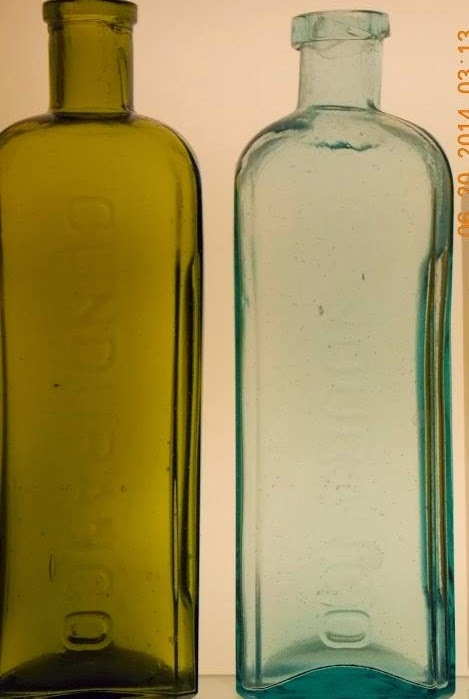 Ferdinand's pinpointing of the start date of Spieker's business in 1876 and taking in partner Tuft's in 1878 could possibly date the J.J. Spieker Druggist bottle to a two year only production. 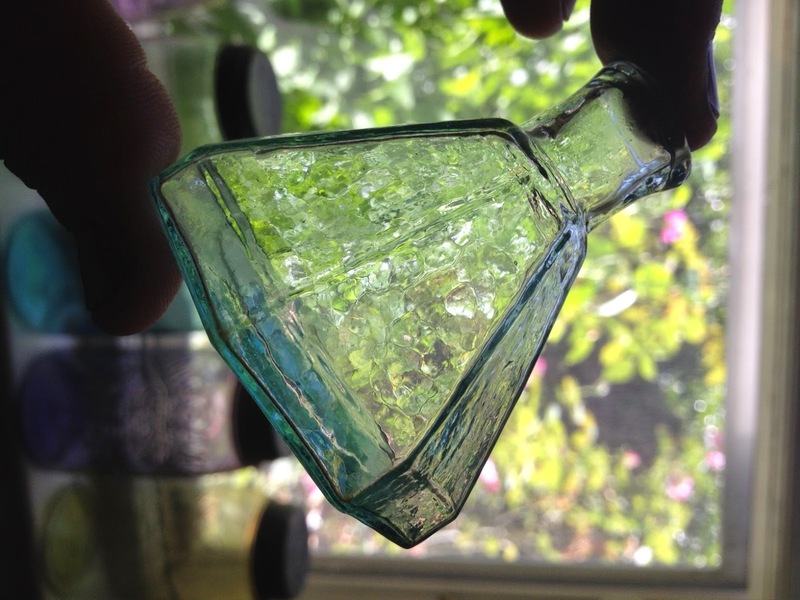 I will bet you that Spieker didn't have a mold made for the bottle the first year he was in business. 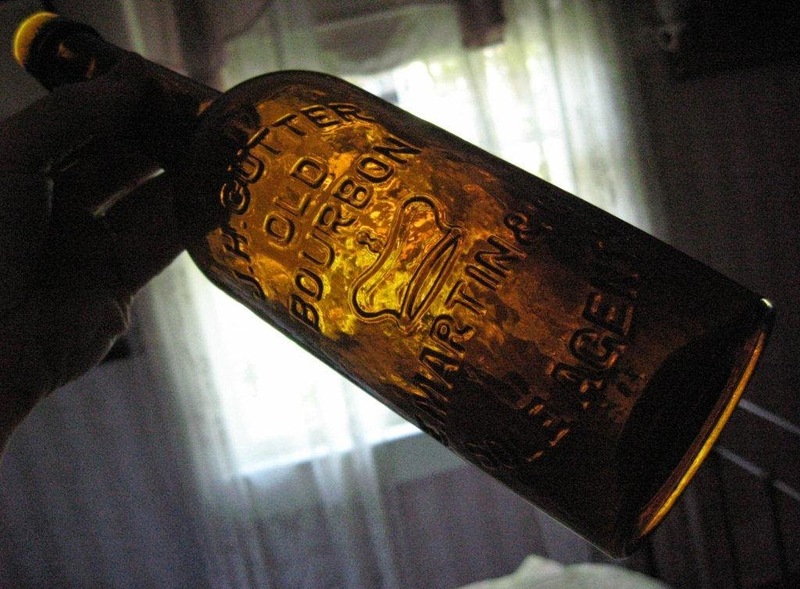 That possibly puts the Spieker Druggist bottle as a one year only bottle. The example in my collection is 5 7/8 inches high, has an applied top, medium whittle and a bunch of garbage in the glass. It is a light yellow green in color. 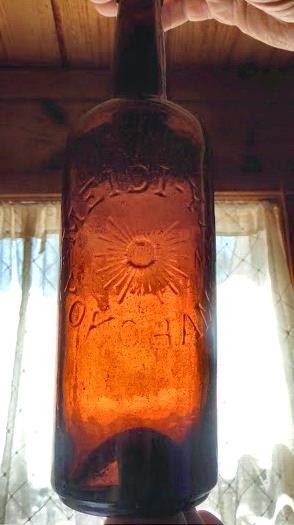 I was lucky enough to acquire this bottle from fellow western collector Ken Edward. Thanks to Ferdinand Meyer for finding the connection. And what do they have in common? Wake Up - Its Cundurango Time! When the weather gets warm and the ground gets hard, in the flatlands, the high country is the place to be if your looking to dig some bottles. Even though taxpayer funded non profit entities like the Nature Conservatory are gobbling up huge tracts of land in the Sierra Nevada mountains and closing them to public access there is still plenty of private property to dig in the Sierra's - not all of the ground is public domain and off limits to diggers. 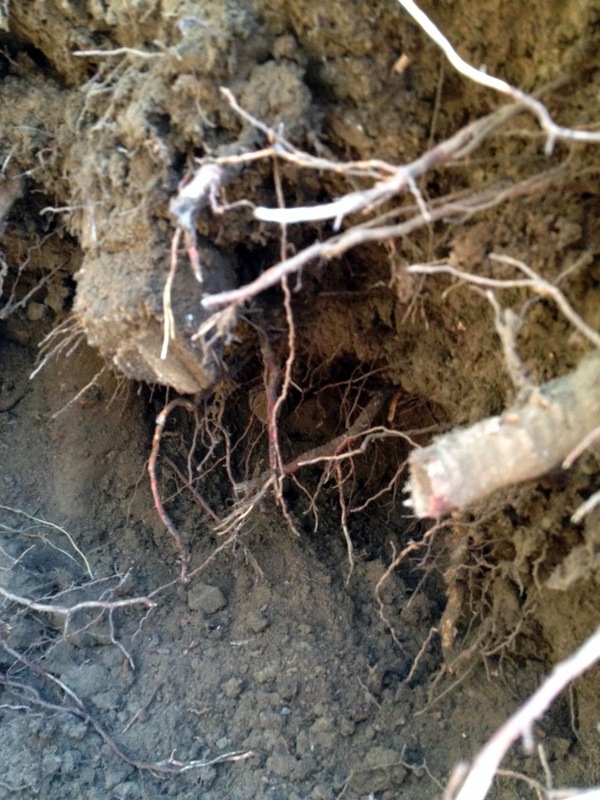 Two examples of high country digging. 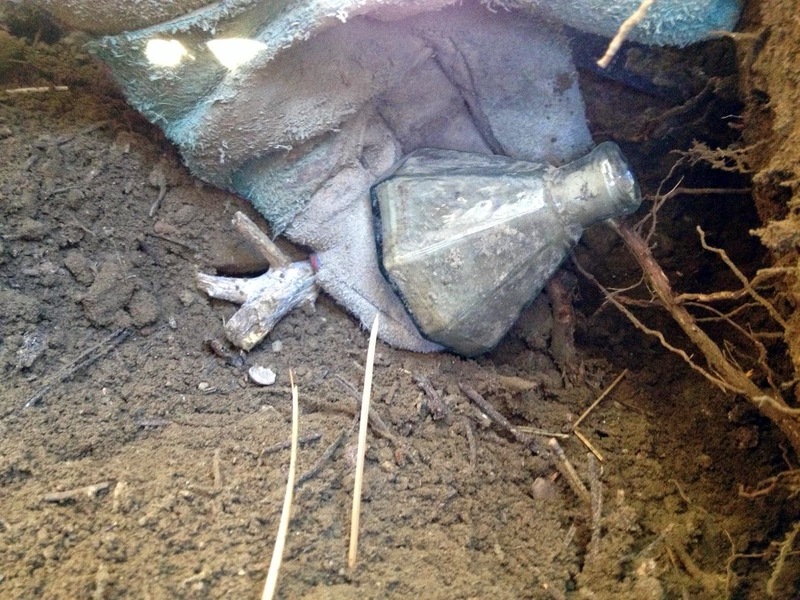 Even though these are early eastern blown bottles they come out of the ground as clean as the mountain air. 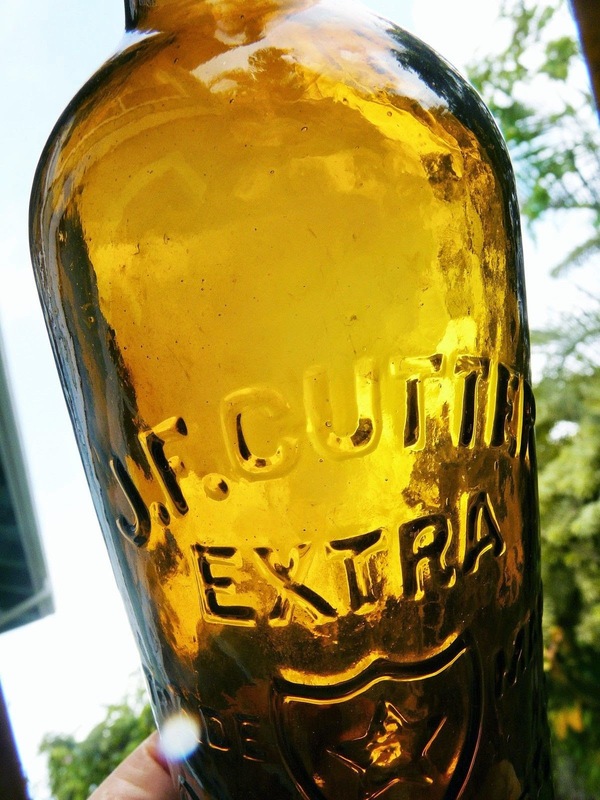 Old Cutter's was famous for saying " just give em' a good blast with the garden hose and they will come out clean as a whistle"
Ebay's offering of 13 western whiskies ( http://www.ebay.com/sch/Antique-Pre1900-/889/i.html?_nkw=western&_sop=10 ) range from low end common fifths to a couple of mid range cylinders. 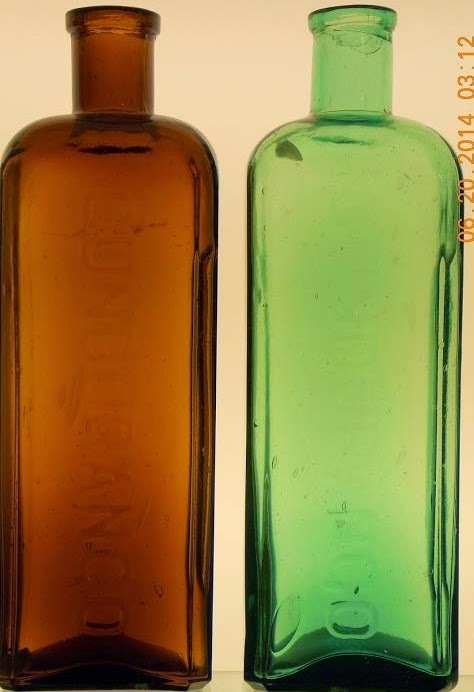 American Bottle Auction #60 ( http://www.rtam.com/americanbottle/cgi-bin/catalog.cgi ) has no less than 30, yes thirty, embossed western fifths and more than 14 western flasks. has six upper end western fifths available to purchase on their "buy it now or best offer" format. 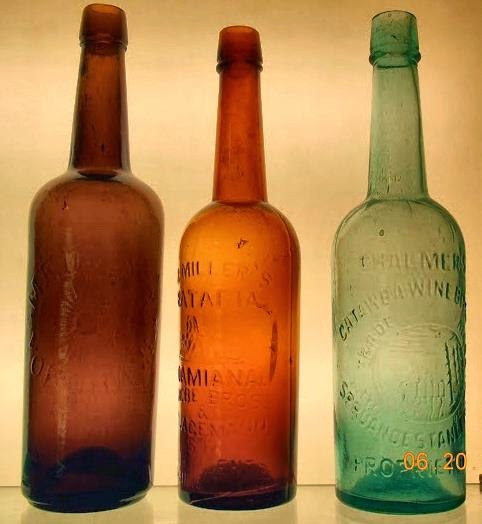 Here are some western bitters emerging from the shadows. I am out of town and off the grid but I would like to post on the blog an experience I had this week. I will send you some pics for the post. 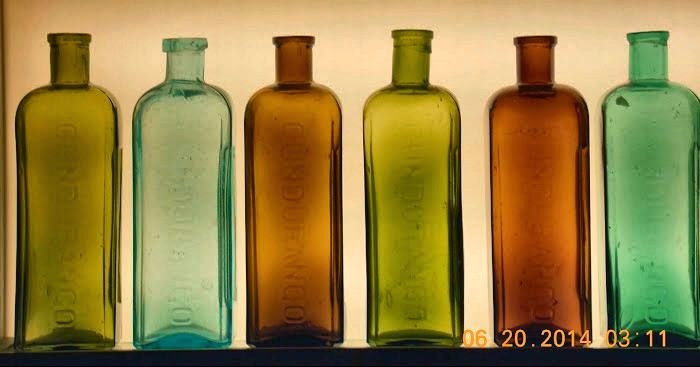 While I have seriously collected bottles for 40 years, it is very rewarding to have an experience that reminds me WHY I love bottles so much. The title of this post has a double meaning. 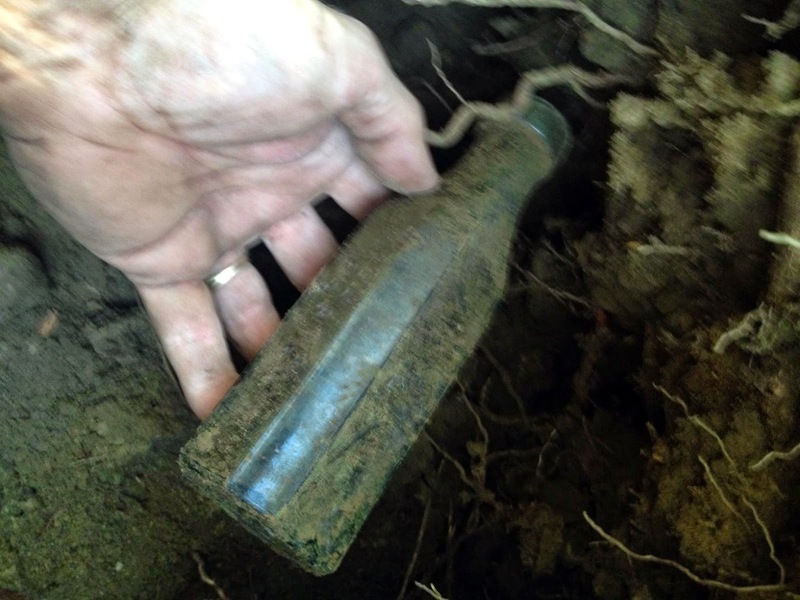 First the amazing history of bottles that I extracted from the ground, and the massive tree roots I had to deal with for this dig. 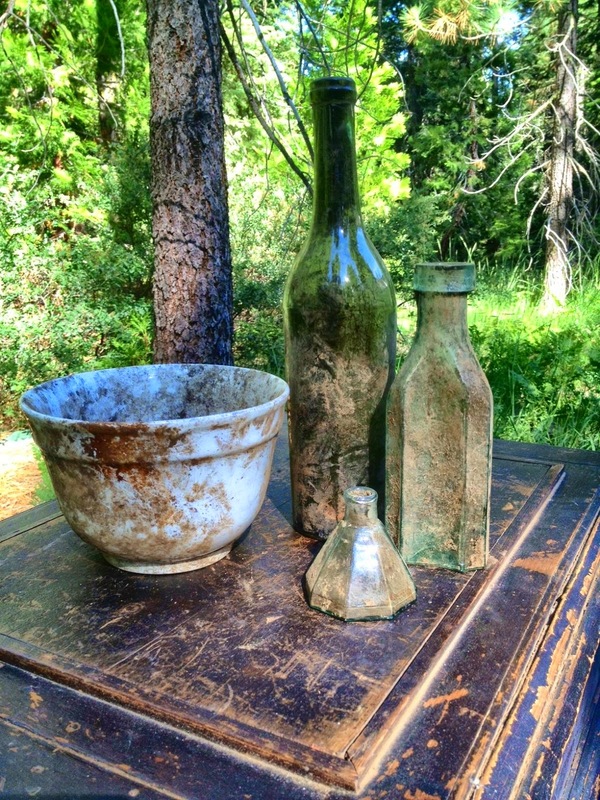 While these pontiled bottles are not valuable in dollars, the incredible Gold Rush history is priceless. Now the gloves come off! 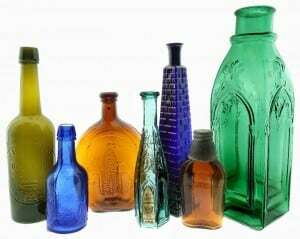 I love to collect the heavy glass but this little group of 1850s glass was more rewarding than any of the "mega bottles" I have handled.